The latest issue of the “Berlitz Complete Guide to Cruising & Cruise Ships” became available in Kindle and e-book format on September 15 and will be available in hard copy next week. This year, the Guide has expanded from 688 pages to 704, reviewing a total of 284 cruise ships. In the year ahead we can look to three ships of new design, Hapag-Lloyd Cruises’ Europa 2, coming from STX France, Norwegian Breakaway from Meyer Werft in Germany, and Royal Princess from Fincantieri in Italy, as well as matching sister ships for AIDA, Ponant and MSC. This year, author Douglas Ward has added a comment on security at US ports. Homeland Security has been so bad at treating cruise passengers over the past couple of years, with significant delays being caused to P&O’s Arcadia, Hapag-Lloyd’s Europa and Fred Olsen ships that one line, Fred Olsen, has decided not to send ships to the US any longer. Indeed, since this news, Saga has made the same decision and both companies are this autumn operating North American cruises that call only on Canadian ports (and in the case of Saga, one cruise from Canada to Bermuda, the Bahamas and Cuba). 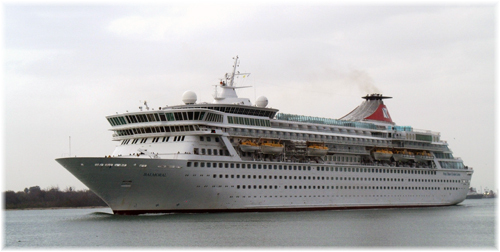 Fred Olsen’s 28-night Canadian cruise in the Balmoral left Southampton on September 5 and is today in Havre St Pierre, Quebec, one of eleven Canadian ports called at before her return to the UK. In the spa section, a new list presents the best spas, while in the expedition ship section, the list of ships is in need of an update, although new sections have been added to cover the Northwest Passage (where there will be three full transits and two local transits in 2013) and the Amazon above Manaus heading into Peru, where the port of Iquitos is about three-quarters of the way across the South American continent from the Atlantic. In the summary section on the major cruise lines the headings have been changed from bold red bars to narrow grey bars, making it slightly more difficult to navigate, while Louis Cruises, now that it is down to two ships, has been moved out. However, the same “so what’s it really like” section summarises each line’sr good and bad aspects. Louis has now been added to the smaller operators section, as have small ship operators Ambiente, Antarpply, Comodros (now Silversea’s Galapagos operation), FTI of Germany, Harmony Cruises, Oceanwide, One Ocean and Passat. Meanwhile, on the ships themselves, the size brackets have been changed this year, which has moved some ships into a new bracket. Changes in the “Top 10” for each bracket are summarised below. 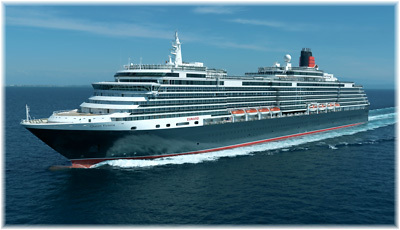 Under Large Ships (now 1750+ berths instead of 1600+), Queen Mary 2’s Grill class keeps her the top spot, but Queen Elizabeth and Queen Victoria have dropped from places 2 and 3 to 6 and 7. The Queens have fallen in ranking because where they were previously rated for their “Grill class” they are now measured on their overall ratings. 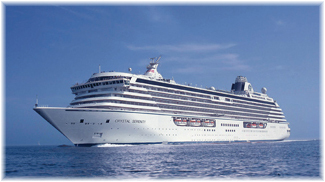 The Mid-size ship has gone from 600-1600 to 750-1750 berths, and here Oceania’s Riviera has knocked the Crystal Symphony out of place while Crystal Serenity has retained the number one spot. Regent’s Seven Seas Mariner and Voyager have now left this classification, going to “Small Ships,” and this has opened up a couple of spots that have been taken up by P&O’s Adonia and Phoenix Reisen’s Artania in the Top 10. The Small Ship category has been moved up from 200-600 berths to 251-700 berths, thus bringing the two largest Regent ships into this grouping. But the top spots in this category are taken by Hapag-Lloyd’s Europa (still the top-scoring ship in Berlitz) and eight ships from Seabourn and Silversea. The Boutique category has gone from 50-200 berths up to 50-250 berths and includes the SeaDream duo, the original Seabourn trio (which last year fell into Small Ships), plus Hapag-Lloyd’s Hanseatic, the two Sea Clouds, Silver Explorer and Hebridean Princess. 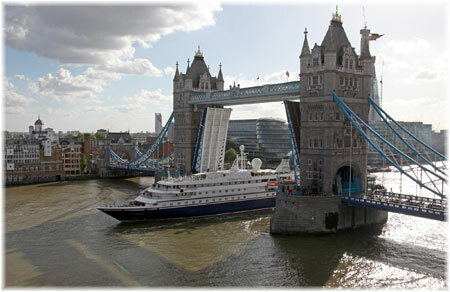 Orion, Island Sky and Bremen have been knocked out of the Top 10 by the arrival of the Seabourn trio. 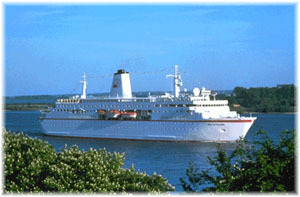 Presumably, the German-flag ship will not allow a Berlitz inspector on board (she was given a four-star-plus rating and a score of 1656 out of 2000 in the 1999 guide but was not listed at all in 2000, to reappear as “Not Yet Rated” a few years later). The “Berlitz Complete Guide to Cruising & Cruise Ships” is available for pre-order from amazon.co.uk for £12.59 (regular £17.99) with free delivery and for purchase from the Amazon Kindle store for £14.82. In North America it is available from amazon.com for $15.17 (regular $24.99) and the Kindle edition for $24.03. The 2013 Guide will be available from Monday, October 1. Yep, that's correct - just like the blog post title states.....the travel industry needs intrapreneurs. What's an intrapreneur? It's an entrepreneur who turns ideas into profitable products and services as an employee of a company. In today's challenging economy, intrapreneurship hasn't never been more important for the travel industry and among tour operators, tourist offices, suppliers and other tourism-related organizations. Intrapreneurs provide companies with an entrepreneurial mindset, approach and spark - which in turns brings new revenues to companies by discovering, developing and tapping new markets and opportunities. As intrapreneurship is a vital key to the continued growth of the travel industry and trade, I plan to begin blogging and writing on this subject more than ever before in the coming days, weeks and months. Air New Zealand will invest more than NZ$100 million (currently about AUD79.2 million) to upgrade its Boeing 777-200ER fleet of eight aircraft so it can offer the same cabin features as its larger 777-300ERs. Air New Zealand Deputy chief executive Norm Thompson says the upgrade will ensure the carrier continues to deliver the most innovative product and technologies to passengers on its international network. Work is scheduled to begin in the second quarter of 2014 and the aim is to complete it with a year. The upgraded 777-200ERs may well help in the Australia-New Zealand commercial agreement with Virgin Australia. B777s are increasingly a favoured workhorse of the world’s international airlines. Qantas has none (having chosen some years ago not to buy any) but its new commercial alliance partner Emirates is the world’s largest operator of the aircraft type. Air New Zealand’s first B777-200ER entered service with the airline in 2005 and the type has proven highly efficient throughout the airline’s network. The 304-seat 777-200ER aircraft currently operate various international routes. “With the introduction of the 777-300ERs over the past 18 months and the arrival of the 787-9s in mid 2014, the 777-200ER fleet will be upgraded to align the product across all of the three long-haul fleet types,” Thompson said yesterday. The new system, called Panasonic eXlite will have improved system performance along with significant weight savings through better component design and architecture. Air New Zealand will be the launch customer for the new system on the 777-200ER. As well as the new IFE system changes, Thompson says the upgrade will introduce the new elements of the Air New Zealand brand refresh seen in the interiors of the 777-300ER and A320 domestic aircraft. This will see the Business Premier seats on the 777-200ER upgraded to match that on the 777-300ER, and the complete replacement of the Premium Economy and Economy seats. “Air New Zealand was the first to deliver a lie-flat sleeping experience to our Economy customers through our hugely successful Skycouch product, and we are excited about enabling many more customers to experience this on our 777-200ERs,” Thompson added. Is Australia’s Gold Coast ready for Megaliners. Mayor says ‘yes’. Copyright © Travel and Tourism. All Rights Reserved.